FarmLogs is a free app for tablets and smart phones that is made for farmers. The application provides multi-spectral satellite imagery of the farmers’ fields, and analysis tools. 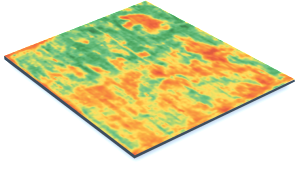 The maps can be soil maps, field rainfall, yield maps, crop health monitoring, and growth stage analysis. This development can save the farmers hassle, and keep them organized with automatic activity recording. Their mission is to “help bring farmers the future of farming.” They are dedicated to the success of the farmers and have a positive impact on one of the most important industries. FarmLogs help farmers yield more with less work, and requiring fewer resources. This team has created a mobile application that can pinpoint in-season yield threats and various other helpful reports. This technology may save farmers money and time which are two critical stakeholders in the industry. Co-founder and CEO, Jesse Vollmar, says that they “were inspired to build FarmLogs when we discovered some of the challenges that farmers in our community (including my family) were facing because they didn’t have good software to work with.” Having real satellite imagery helps the farmers feel confident in their decisions as well as acting as a mobile record keeper. Using remote sensing to monitor the health of fields made perfect sense to Brad Koch and Jesse Vollmar. Geospatial technology is advancing and the field is growing. Geographic sciences can be applicable to many industries and will only get more precise as they grow. With applications such as these, we can begin to solve today’s global problems.